While all yoga classes have certain poses in common, yoga is far from a one size-fits-all discipline. Here, ordered from least to most rigorous, is a guide to the major styles of yoga with tips for what to expect and what to watch out for. The original school of yoga, founded in India in the 15th century and exported to the West in the ’50s, hatha yoga developed with the aim of building the stamina necessary to sustain long periods of meditation while purifying the body and clearing the mind. Taking its name from the Sanskrit for sun, “ha” and moon, “tha,” hatha yoga trains the body to balance strength with flexibility while training the mind to be alert and relaxed at the same time. Hatha yoga is structured around a series of traditional poses held for extended periods of time. “Hatha is a great starting point because it gives you enough time to get comfortable with one pose before you move on to the next.” If you think of yoga in terms of lineages, most of the popular styles of yoga are derived from hatha yoga. 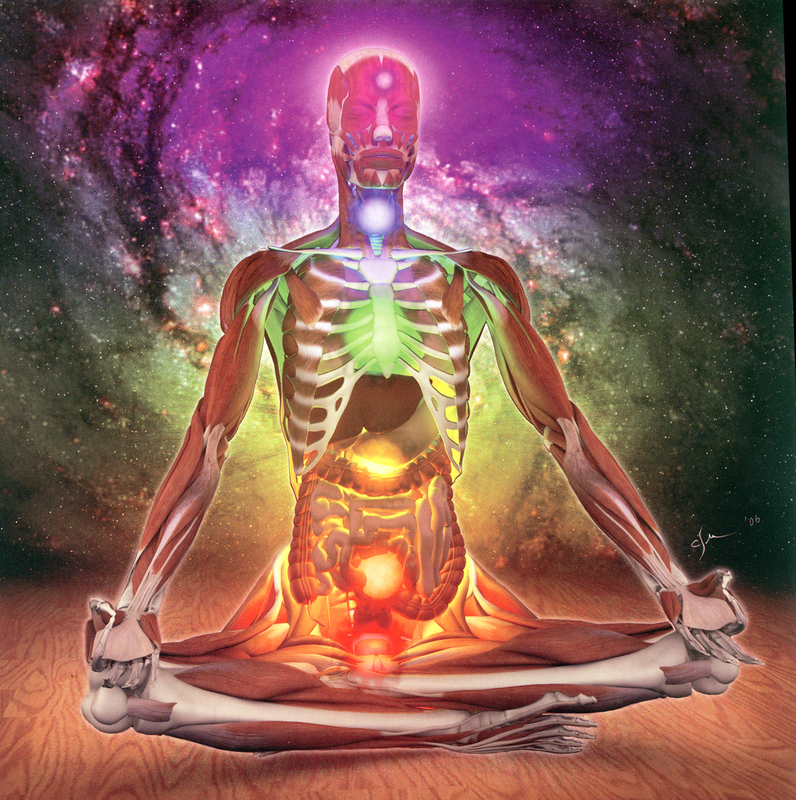 The word Kundalini comes from the Sanskrit meaning for serpent and emphasizes opening channels of energy throughout the body, emanating from the “coiled snake” of energy at the base of the spine. Made famous by the many celebrities who attend Golden Bridge Yoga in Los Angeles, where kundalini’s turbaned founder, Gurmukh Kaur Khalsa, holds court, kundalini involves learning the location of the seven chakras and focusing on energy flow – so much so that some kundalini practitioners swear they feel high for an hour or two after class. Almost synonymous with the name Gary Kraftsow, director of the American Viniyoga Institute, viniyoga-based yoga therapy has become the go-to school for those seeking to combat specific health problems ranging from anxiety and depression to back and hip pain. Viniyoga is used in many medical studies of yoga and is featured in protocols developed for National Institute of Health studies on yoga for chronic low back pain and generalized anxiety. Key to viniyoga is the concept of “appropriate application,” which allows viniyoga teachers to modify poses and sequences to meet the diverse needs of specific populations. Created by an out-going teacher with the apt name of John Friend, the idea behind Anusara yoga was to develop a “life-affirming” style of yoga that felt more relaxed and accepting than the rigors and seriousness of traditional hatha yoga. If you tend to stress out about whether you’re doing your asanas “right,” Anusara will banish that self-critical voice in your head. With a healthy dose of tantric teachings that emphasize joy and divine union, Anusara yoga classes tend to have an upbeat, encouraging atmosphere. If you find yourself growing frustrated with unsuccessfully trying to contort into poses while your hamstrings rebel, Iyengar will come as a relief. The practice, known for placing the importance on proper alignment, is named for its founder, B.K.S. Iyengar. This slows teachers to guide students carefully through each pose, encouraging close attention to posture and alignment and suggesting props to help you when your own muscles can’t quite man-age it. Iyengar is a good choice if you’re injury-prone or wish to use yoga to work with particular areas of the body, such as opening the hips or improving lower back pain. If you see students starting class with blocks, straps, cushions and folded blankets piled next to their mats, it’s likely an Iyengar or Iyengar-inspired class. In some ways, diametrically opposed to Iyengar yoga is Bikram. In the 1920s, Bikram Choudhury created a strict yoga routine that starts with a sets of prescribed breathing exercises and entails 26 poses, always performed in an exact sequence. If you don’t like to worry about what’s coming next, Bikram will hold major appeal. Bikram classes follow a strict script, and you can walk into a Bikram studio anywhere in the world and know exactly what to expect. Most often experienced in the form of retreats, Sivananda encompasses a five-point philosophy of lifestyle change. Swami Vishnu-devananda, who brought it to the West in the late 1950s, taught that the five points of yoga – proper exercise, breathing, relaxation, diet and positive thinking or meditation – must all be integrated for a true yoga experience. Sivananda was one of the earliest yoga schools to take root outside of India and now boasts more than 10,000 teachers worldwide. Beloved by purists, Sivananda classes open with chanting and meditation and use just 12 poses, repeated in the same order, preceded and followed by sun salutations and savasana, or corpse pose> Sivananda strongly encourages a vegetarian lifestyle for detoxification, healthier digestion and psychic harmony. Also called “flow” (a direct translation of the word vinyasa), this style is characterized by sequences of poses linked in near-constant movement at a fairly swift pace, synchronized with breath. Vinyasa classes vary a great deal in intensity, so it’s important to pay attention to whether a class ia listed as beginning, intermediate or advanced. “Vinyasa is popular because it’s fun, it feels athletic and the coordination with breath can feel very powerful,” says Janice Gates of Yoga Garden; it’s the style you’re most likely to encounter at resorts, spas and fitness centers. Six sequences of ambitious poses done in a fast-paced “flow” style, Ashtanga is designed to build strength, flexibility and stamina. Because it’s the most strenuous style of yoga, Ashtanga is sometimes used interchangeably with the term “power yoga” – though the two aren’t synonymous because power yoga classes typically don’t limit themselves to the set sequences used in Ashtanga. Type-As have embraced Ashtanga for its achievement-oriented structure; students move up the ladder from the primary sequences to the secondary sequences, so it’s easy to chart your progress. One of the youngest forms of American yoga, New Sharon Gannon and David Life launched Jivamukti in the mid-1980s. An outgrowth of Ashtanga, Jivamukti is a similarly demanding, physical practices but classes have their own distinctive vibe that’s one part “crunchy granola,” two parts buzzy Eastern mysticism. Classes can include readings from Sanskrit scripture, chanting and possibly a theme such as planetary sustainability or unity consciousness. Translated as “liberation while living,” Jivamukti is a philosophy and lifestyle as much as an exercise routine.